Nissan GTR Forum for the R32, R33, R34 and R35 "Godzilla"
Hey everyone, we are new site sponsors and wanted to introduce ourselves. 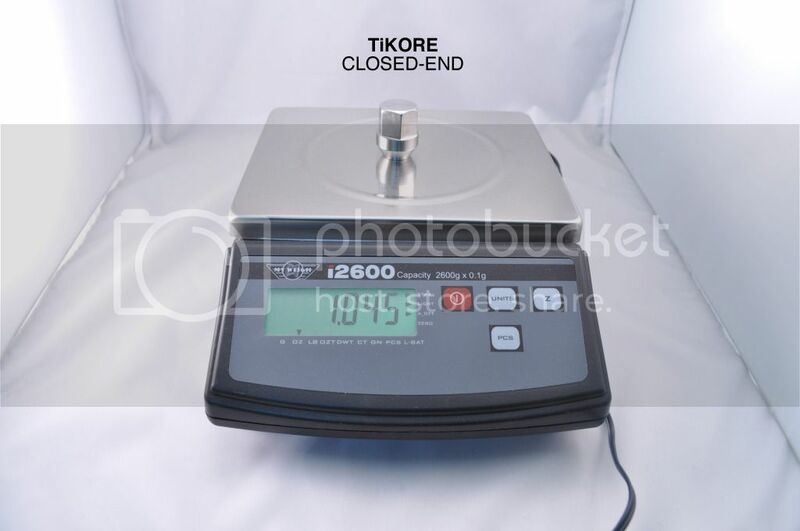 TiKORE Industries (pronounced Tie-Core) was established in 2010 to serve the needs of the aftermarket automotive industry. TiKORE designs, engineers, and manufactures titanium and other alloy products at its headquarters located in Fort Lauderdale, FL (USA). 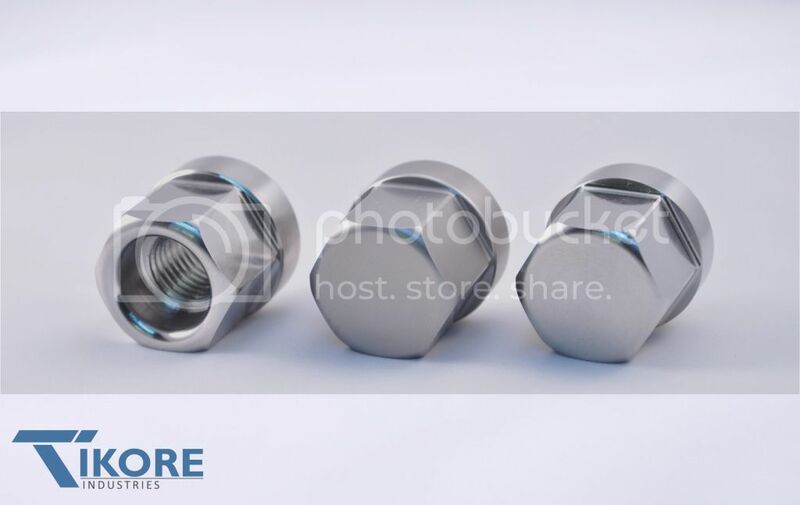 We offer titanium lug bolts (security and none security) and titanium lug nuts for all brands of vehicles (custom sets as well for those folks running spacers). Please note we roll all of our threads, manufacture the bolts in house and all of our titanium bolts are crafted from grade 5 certified titanium bar stock. Weight savings, titanium is approx. 45% lighter than steel components. Also, we are going to offer a 10% discount on our already low price to 6speedonline members. Please see the below link on our signature. 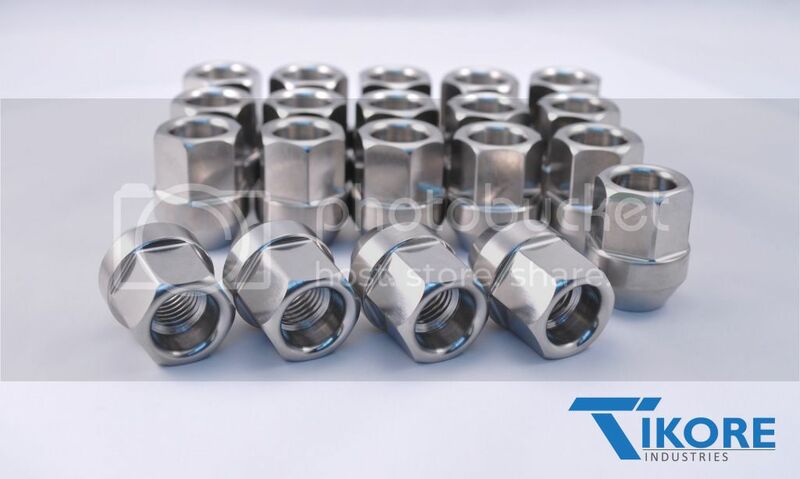 We machine titanium lugs for the high end automotive industry. 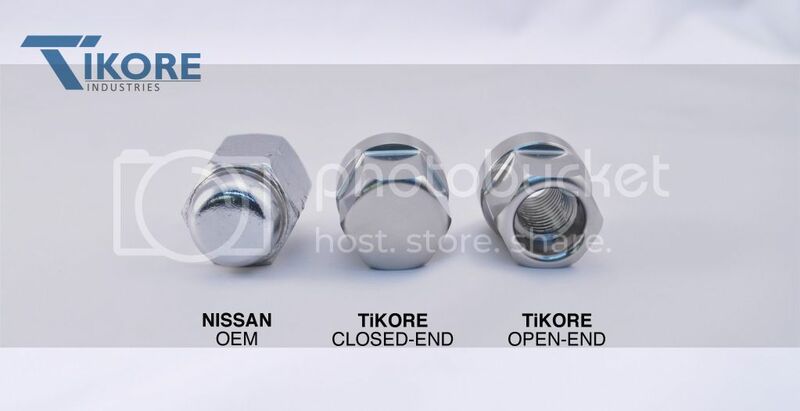 Visual of the weight savings of TiKORE lug nuts compared to NISSAN OEM. 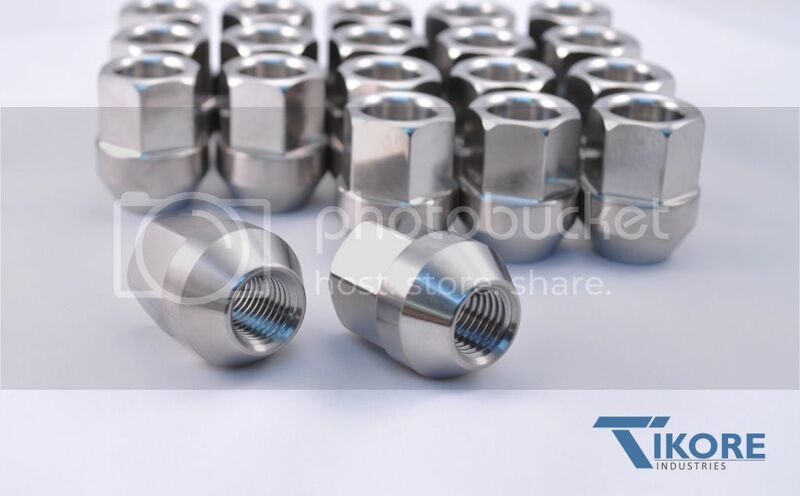 With our Titanium Closed-End Lug Nuts you are saving 1.5 lbs, while maintaining equivalent strength to grade 8 steel. You are reducing unsprung weight from the vehicle which when someone is focusing on reducing weight, this is a good start. Soon... Hopefully soon. Any luck on wheel lock? Yes these have and are being used by Breathless Performance on their personal racing vehicles. We have had zero bad feedback, only the request for more bolts! Any update on an open-ended, locking lug? Yes, custom open-ended locking lugs now available! PM Sent Robert. No PM showing. Still have my e-mail? 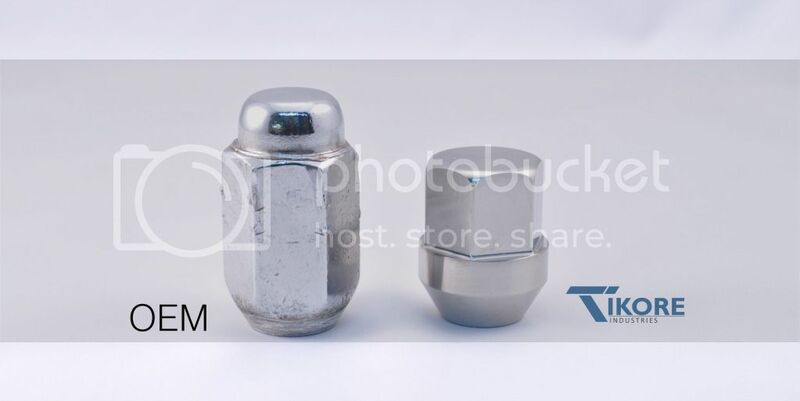 E-mail has been sent regarding open-ended locking lug nuts. Thank you for following up advising that the PM didn't make it to you. Regards.